Come on out to the Laguna Woods Campus parking lot to shop! And if you have some items to give away...it’s time to clean out your homes, garages and closets! We’re looking for clean, gently used, sellable goods and clothing. Please drop off your donations at the LW campus during church office business hours, now through November 1st; make sure any clothing donations are clean and packed in boxes or sturdy bags. Volunteers are needed for various shifts on November 2 & 3 to help organize items, set-up, and work the sale; sign up at church. Any unsold clothing will be donated to the Orange County Rescue Mission and Working Wardrobes. 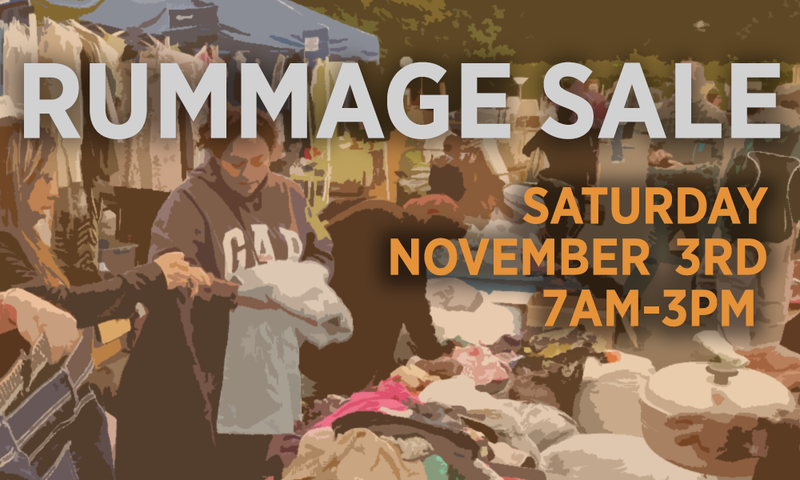 Proceeds from the rummage sale will benefit California wildfire victims.